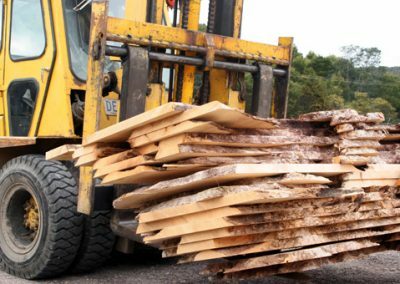 Tasmanian Special Timbers was created in 1993, but the story goes back much further than that, as the founders of our company have sawdust in their veins. Cliff Bradshaw started his sawmill in 1936, harvesting eucalypt firewood, Huon and King Billy pine from the King River Valley and its surrounding mountains. Cliff became a legend in these parts as a resourceful bushman, and was sought after to build roads, bridges and structures, as well as guide visitors to scenic highlights such as Frenchmans Cap. The sawmill he established on the Princess River east of Queenstown became a small village, hosting several families, but in 1992 – with the mill now being operated by his sons Bern and Henry (Curly) – the area was flooded by the Hydro Electric impoundment caused by the damming of the King River. 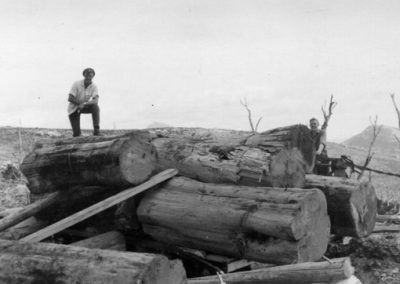 While many thousands of tonnes of Huon pine were salvaged prior to this flooding, the Princess River mill buildings were in the flood zone, and the entire operation was moved to a location at Lynchford, east of Queenstown. It was there that the Bradshaws set about establishing the most efficient and professional operation they could develop on this larger site….which meant going into partnership with Randal Morrison. Equally famous in the Strahan area, as Huon Piners, the Morrison brothers had several operations in the Gordon River and its tributaries in the 1930’s to 1960’s. 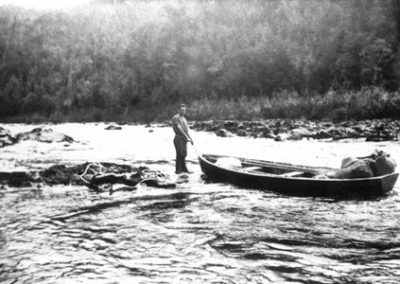 In early 1939 three of the brothers conducted an exploratory trip up the Franklin River looking for stands of Huon pine, perhaps the first traverse of this river by non-indigenous people, and almost certainly the first – and last – to go against the current of this wild river. In 1947 Reg and Doyle established the sawmill on the Strahan waterfront, which is still operated to this day by members of the family. In latter years Reg set up the cruise company now known as World Heritage Cruises, while Doyle ran the mill with his sons, Snowy and Randal. As the Huon pine industry was being restructured after the large salvage operations caused by the flooding of extensive areas of Huon pine habitat in the hydro electric schemes, Randal took the opportunity to develop a professional partnership with Bern Bradshaw, and Tasmanian Special Timbers was born. In a lovely connection so characteristic of this industry, Randal Morrison’s grandfather, Jim, ran a Huon pine sawmill at the mouth of the King River near Strahan from 1910. 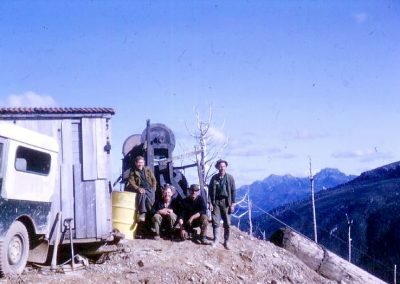 In 1936 he sold the mill equipment to a young up-and-comer from Queenstown, Cliff Bradshaw, who took it through the rugged bush to establish the Princess River sawmill. Eighty years later, the families are once again connected.